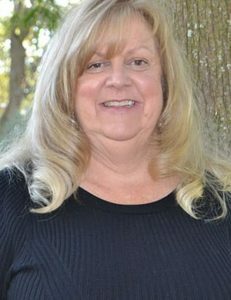 Nicole, a native of Gheens, has over 20 years of experience in office administration in the oilfield and transportation industries. She serves as the Administrative Assistant to the program director and will be responsible for the everyday activities of the program office. Babin will also work very closely with program staff, members of the BTNEP Management Conference and the public. 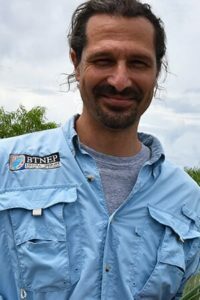 Andrew has been with BTNEP for 14 years and manages projects related to water quality, coastal restoration and cultural heritage, and oversees quality assurance for scientific data collection. He represents BTNEP on the Water Management Advisory Task Force Commission, the Greater New Orleans Master Naturalist Program Steering Committee, the State Master Plan Framework Development Team and other various committees related to water quality and coastal restoration. Andrew has taught Physical Science, Biology, Environmental Science and Chemistry as a High School Science Teacher. He has also worked as an Environmental Specialist and Environmental Scientist for the Nonpoint Source Pollution Unit of the Louisiana Department of Environmental Quality. Matt oversees BTNEP’s Coastal Vegetative Restoration Program. Since 2008, Matt has presided over the vegetative restoration of an historic ridge in Fourchon recreated with dredged pipeline sediments called the Fourchon Maritime Forest Ridge and Marsh Restoration Project. To meet the vegetative needs for this and other vegetative projects within the estuary, Matt has overseen the construction of BTNEP’s Native Plant Production Facility located at Nicholls State University Farm. Seeds and plants collected from around coastal Louisiana are grown out at this facility for use at the Fourchon Maritime Ridge and the many other vegetative plantings conducted annually throughout the Barataria-Terrebonne estuary basins. The Coastal Vegetative Restoration Program utilizes the assistance of volunteers locally and from around the nation to implement these critical projects. Matt also serves on the Coastal Zone Management & Restoration Advisory Committee for Terrebonne Parish. Dean is responsible for acting as an advisor to the Program Director and all staff members on fiscal, technical, and personnel matters. Dean can be seen working on restoration projects in the field, helping with bird surveys, working at the NSU farm on coastal plants as easily as he can be seen advising staff on creating solid budgets and providing guidance on scientific issues. 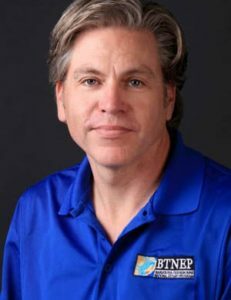 Dean has been working with BTNEP since 1997. Prior to his role as Deputy Director, he was the Habitat Enhancement Coordinator. Dean has also worked with the Louisiana Department of Environmental Quality in the Investigations and Regulations Development Division. Dean is a native and resident of Assumption Parish. 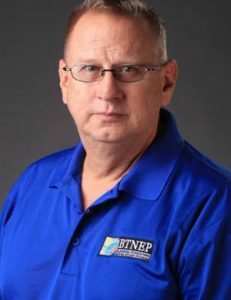 Richard oversees several aspects for the BTNEP program. He has 23 years of experience as a scientific and technical coordinator involving numerous wetland projects in an effort to improve water quality, protect living resources, and abate wetland loss. Presently, his primary duties include implementation of the Migratory and Resident Bird Action Plan and the many projects associated with the implementation of that plan, management over the various BTNEP budgets, and coordinating the activities associated with the Maritime Forest Ridge and Marsh Restoration Project near Port Fourchon, LA. Richard has also worked on two intergovernmental personnel agreements during his career. One agreement was with the USFWS which focused on coastal restoration projects in Louisiana and the second was with the USGS National Wetlands Research Center which concentrated on seagrass across the northern Gulf of Mexico. Delaina has worked with the program since 2007 conducting coastal bird research that serves in the protection of habitat for migratory and resident birds. She is responsible for coordination of bird surveys, management of data on several projects, and promotion of bird conservation and outreach. 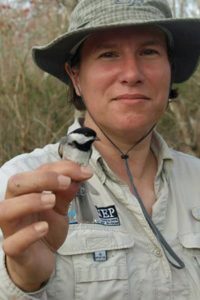 In 2015, Delaina received the Louisiana Ornithological Society’s President’s Award for her contributions to Louisiana shorebird research and habitat restoration. In addition to being the BTNEP Migratory Birds Coordinator, Delaina is an artist whose artwork is designed to call attention to coastal land loss and bird preservation issues. Michael joined the program in 2004 and currently manages projects to conduct research, control, management, outreach and public education on invasive species. 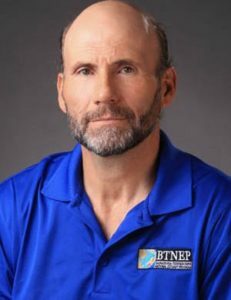 He chairs BTNEP’s Invasive Species Action Plan Team and is a member of the Louisiana Aquatic Invasive Species Task Force. Michael also represents BTNEP in matters of coastal restoration and storm protection planning. He served on the Habitat Evaluation Team for the US Army Corps of Engineers’ Louisiana Coastal Protection and Restoration Study (LaCPR), and represented BTNEP on the Coastal Protection and Restoration Authority (CPRA) Framework Development Team for both the 2012 and 2017 Master Plan. Michael is also a founding member, current board member, and instructor of the Louisiana Master Naturalists of Greater New Orleans. Michael is a native of Algiers. Seth serves as the public involvement coordinator for the BTNEP. 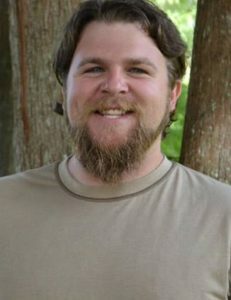 As a Louisiana native and student of Marine and Environmental Biology, he is well versed in the issues and ecology of the Barataria-Terrebonne National Estuary. He is tasked with increasing understanding among the general public regarding problems that threaten the estuary and the culture of residents. 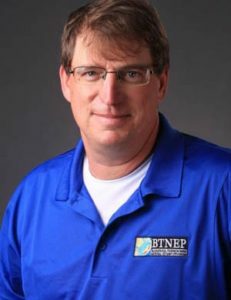 Additionally, he is responsible for coordinating and supervising volunteer events and other projects that were created by the BTNEP to protect and restore the unique characteristics of the estuary. Alma Robichaux has worked in marine education and research for 25 years. She started at the Dauphin Island Sea Lab in Alabama and transferred to Louisiana in 2008. 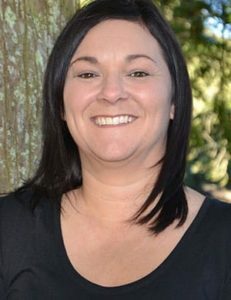 As the Education/Outreach Coordinator for the Barataria-Terrebonne National Estuary Program, her duties include K-12 education and public outreach. She is also Project Manager for many Teacher Workshops including WETSHOP and Tools for Teachers. She coordinates the Bayou Lafourche Cleanup annually which includes 106 miles of Bayou Lafourche and over 1000 volunteers. Siva Nunna joined the BTNEP staff in October of 2016. 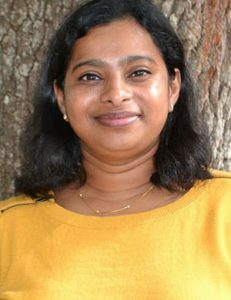 The South India native, earned her Master of Science degree in Marine and Environmental Biology from Nicholls State University. 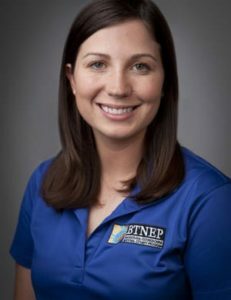 As the BTNEP Water Quality Scientist, she will collect field data and water quality grab samples for laboratory analysis, analyze water quality data, prepare monthly reports and work to restore the Bayou Folse watershed in partnership with the Louisiana Department of Environmental Quality. She will also conduct educational presentations about water quality to universities, schools, festivals and the general public. Previously, she worked for Bayou Land RC&D Council in the same role she is serving at BTNEP. Local residents and community leaders who want to learn more about improving water quality in their local area or to request a presentation are invited to contact the BTNEP office. 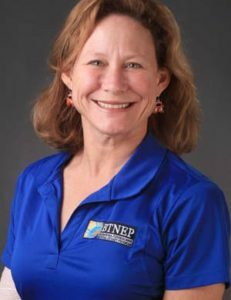 Susan serves as the director of the Barataria-Terrebonne National Estuary Program (BTNEP). Prior to becoming director she worked in the wetlands community for over 15 years performing education and outreach on a host of Louisiana environmental issues. She worked with the Louisiana’s Coastal Wetlands Planning, Protection and Restoration Act’s (CWPPRA) Public Outreach Committee as a media specialist, technical writer, and public outreach coordinator. She is also the former BTNEP Formal Education Coordinator. She is former classroom teacher of high school science and math. Susan is also a former member of the Governor’s Environmental Education Commission where she served two terms. She has worked with several environmental organizations in the State and along the coast helping to provide resources for wetland education. Natalie is responsible for developing and implementing bird monitoring and habitat enhancement projects within BTNEP’s Migratory and Resident Bird Program. Natalie manages the BTNEP Prothonotary Warbler Conservation and Monitoring Project, coordinates the partnership and development of the Osprey Nest Platform Installation and Monitoring Project, and conducts coastal bird surveys monitoring species of conservation concern including Piping Plover, Snowy Plover, Wilson’s Plover, Red Knot, Least Tern, Reddish Egret, and Common Nighthawk. She develops educational outreach materials promoting bird conservation including brochures, fact sheets, displays, presentations, and social media posts. She provides technical support to the Senior Scientist and works closely with management conference members to provide bird conservation recommendations and actions relevant to the implementation of BTNEP’s Comprehensive Conservation Management Plan.